In this post we help guide you on how you can “Be greedy when others are fearful and fearful when others are greedy” as Warren Buffet so famously phrased it. 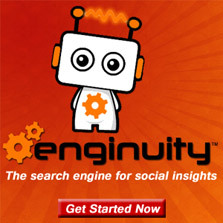 With the use of tools like Enginuity Analytics the ability to monitor the social activity and media attention of your stock investments gives you an opportunity like never before. The ability to keep a consistent eye on market opinions and trends so you can react and respond accordingly without being caught off guard. Now while stocks are performance driven they also go up and down many times simply based on sentiment, which is where you can use this to your advantage. 3) Find the stock you want to start monitoring. 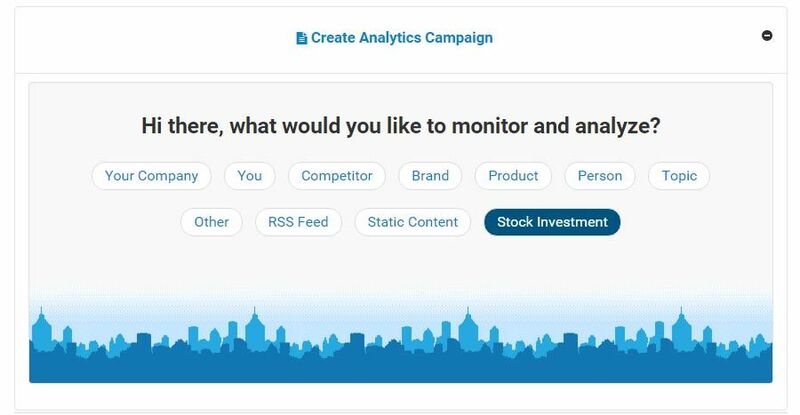 Start entering the company name of the stock you want to monitor and select from the suggestions dropdown. If you already know the exchange and stock symbol you can enter that instead. 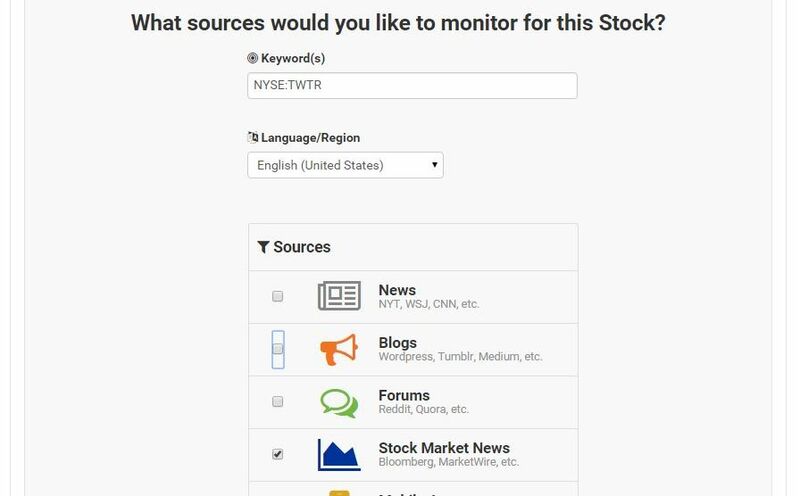 4) Select the sources you want to monitor mentions of the stock. From the sources you can select Stock Market News to monitor in-depth coverage and analysis from thousands of influential publishers and trader sites. 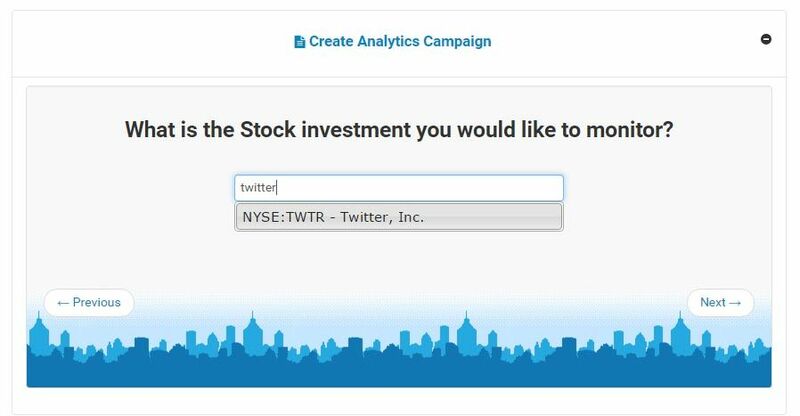 5) Immediately start analyzing the sentiment and interest of your stock. Once you have successfully create the campaign you can immediately start to analyze the data as it comes in. Go to settings then user management drop down to add and grant access for a new user. Load the overview page to see the full picture and discover the top stories regarding your stocks. The higher a social relevance score (a FICO score) the more positive outlook and attention the stock is garnering from various media and social channels. 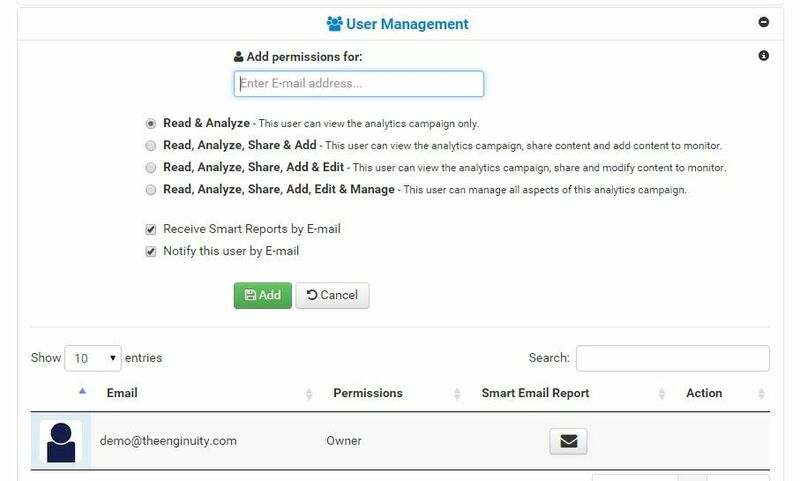 8) Enable smart reports to get immediate summarized updates as they happen by email.